Marieke Delanghe is Research Engineer at EDHEC Business School. She holds a doctorate in management science from Université Lille 2 (graduated in 2013). 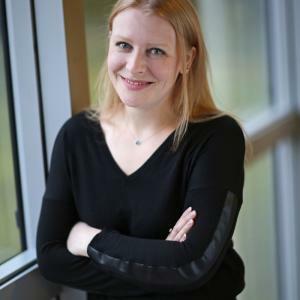 Marieke works with the EDHEC Open Leadership for Diversity and Inclusion Center and the EDHEC Financial Analysis and Accounting Research Centre. Her main research interests are leadership, inclusion, corporate finance and quantitative approaches. Her work has been presented in several international conferences in management and in finance and she published in the Journal of Corporate Finance in 2015.